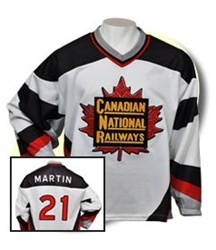 100% polyester, high performance jersey with double shoulder and 3/4" hemmed bottom. 1 colour name bar and 2 colour number, 2 digits. No exchange once jersey is personalized. Please enter the name and the number requested in the inscription field. Approximate production time 10 business days.